Product information: Silica Fume (Microsilica) is a co-product from the production of silicon or ferrosilicon metal, is an amorphous silicon dioxide - SiO2 which is generated as a gas in submerged electrical arc furnaces during the reduction of very pure quartz. 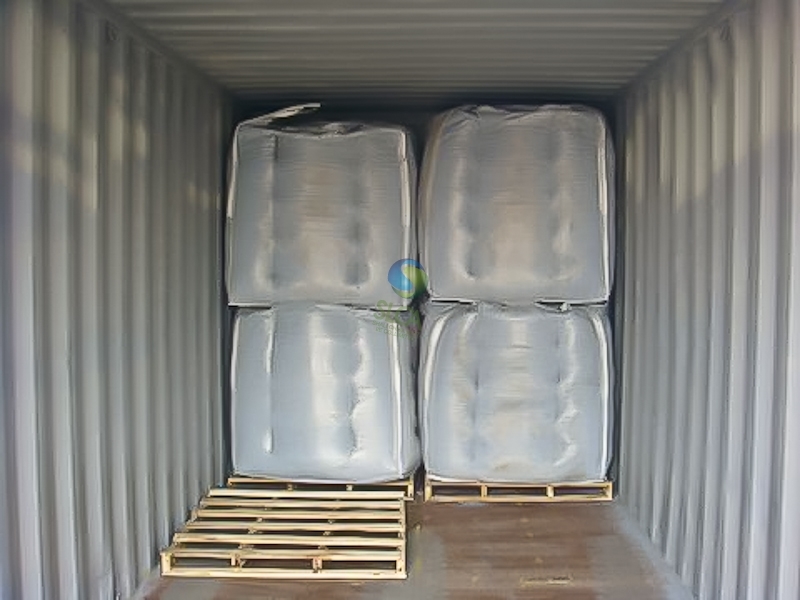 This gas vapor is condensed in bag house collectors as very fine powder of spherical particles that average 0.1 to 0.2 microns in diameter with a surface area of 15 to 27 m2/g. 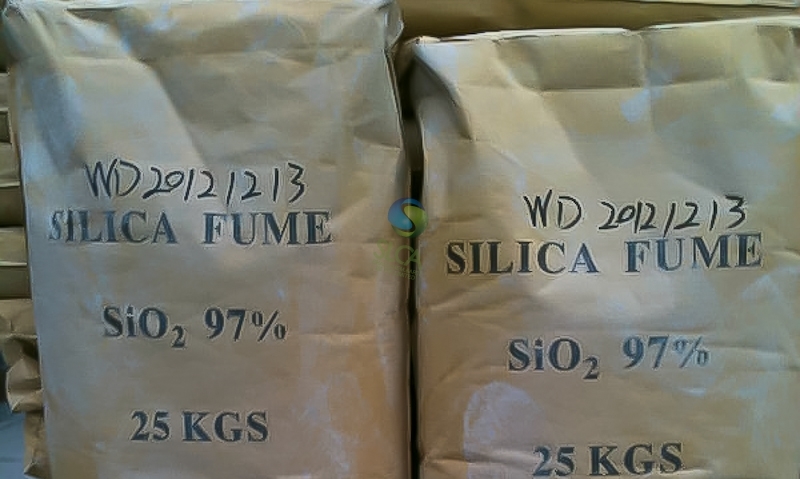 Silica fume is a high-performance mineral additive widely used in construction and refractories. The main ingredient of Silica Fume is amorphous silicon dioxide, as the rising of furnace gas, there some impurities, such as floating C, Fe2O3, CaO, K2O, Na2O and so on. The colors of Silica Fume range from white, hoary, grey to dark grey as the rise of C, Fe2O3 content or due to furnace temperature. Raw Silica Fume is a kind of Silica Fume collected directly. Mean particle size: Between 0.1 and 0.2 micron. Minimum specific surface: 15-27 m2/g. Existed form: Non-amorphous ultrafine crystalline powder..
Color: The color of silica fume varies from light to dark grey. 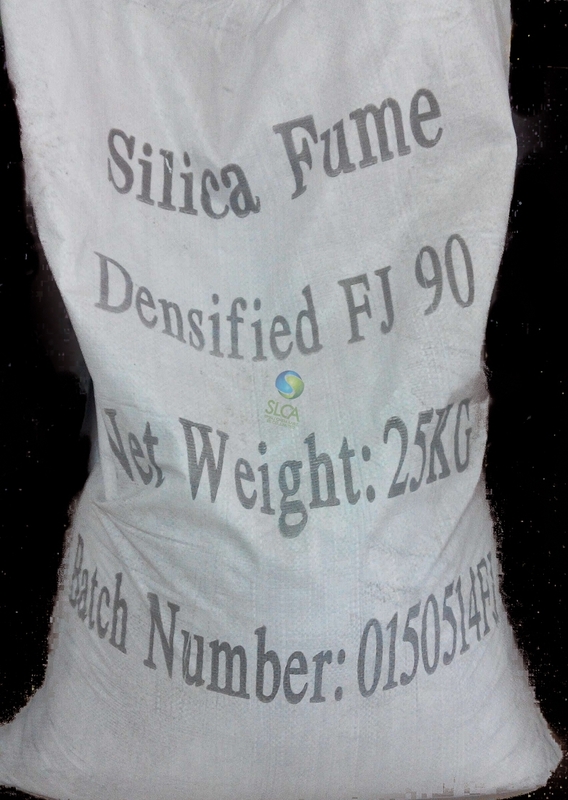 Silica Fume works on two characteristics: “Pozzolanic” and “Particle Packing”, so Silica Fume is widely used as filling/stuffing material and modifying agent/admixtures. 1) Improve concrete intensity and performance, prolong natural life of concrete. Making high crack-resistance, self-waterproofing concrete, be used in the subway, tunnel and basement of high-rise structures. Making high-grade concrete effectively enhances the strength and pumpability of strong concrete. Used in maritime works and chemical industry. Owing to the compactability, it can prevent effectively sulfate and chlorine ion from osmosizing and eroding. Effects on high-early strength concrete and strong concrete. Used in project items for water conservancy and bridge. Used in the construction item under water, such as pier, huge dam and drilling platform. Used in road surface concrete of expressway and large-scale bridge. Reduce the permeability of concrete. Improve the sulfate resistance of concrete. 2) Improve intensity and durability of refractory, increase flowability, decrease water consumption. 3) Improve the flowability and corrosion resistance of wearproof floor. 4) Use for filler into varnish, dope, colophony, rubber and other polymeric material. Silica fume products have very high purity resulting in highly consistent physical properties and particle size distributions. Their complete inertness and neutral pH, make these products not capable of altering or initiating reactions when incorporated in catalyzed or multi-component chemical systems. Silica fume filler can be used in the following coating and paint industry field. For improved abrasion resistance and scratch resistance of the film. Gives the highest chemical durability in industrial coatings. Offers high loading level leads to reduced formulation cost. 5) Improve the early stage intensity of dry-mix, grounting. 6) Cement industry. 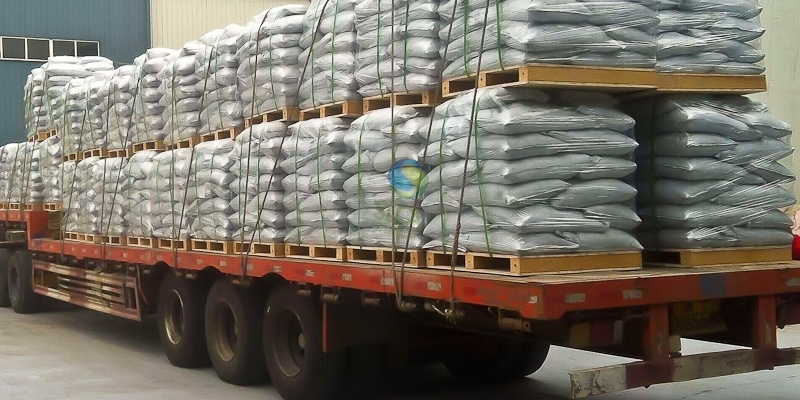 Like concrete additive, at present lots of countries develop the relevant application continuously, manufacture various mixed cement, the quality is much better than ordinary cement. 7) Acting as anti-caking agent in fertilizer. 8) Acting as raw material of silicate brick. Introduction to our mill: Our cooperated factory is professional in exploiting, producing and selling microsilica (silica fume). We built up our own producing and processing factories in Shanxi, Qinghai and Yunnan Province, and have 3600 tons production in one month. We provide high quality product with low price. 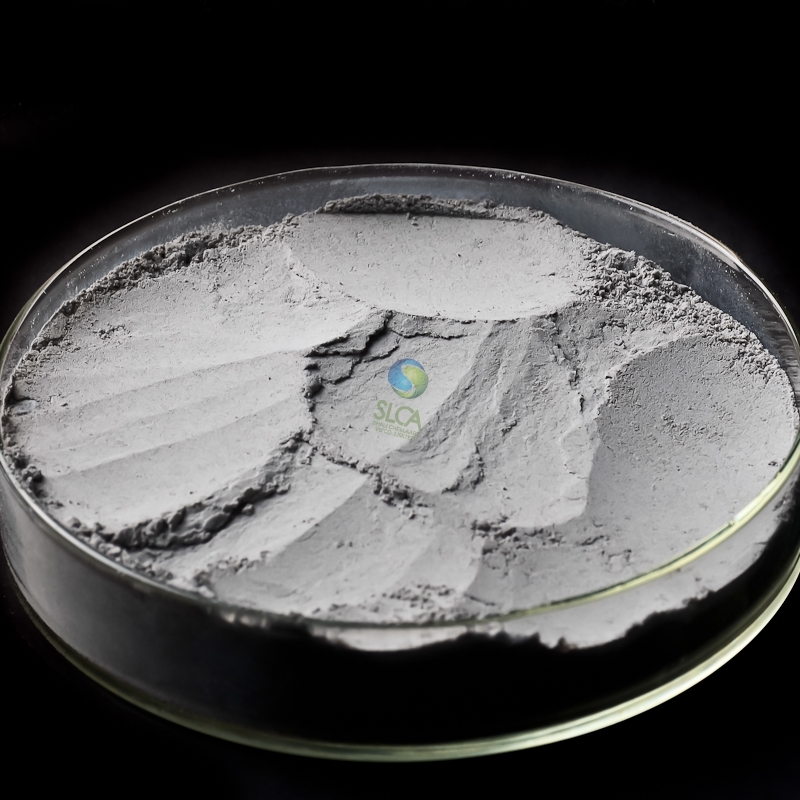 Our product Microsilica has a high content of SiO2, and each content target is outstanding with stable quality. It widely applies to concretes in water conservancy and hydropower, the marine anticorrosion construction and refractory material professing, road, bridge and special cement, chemical industry, electron and other industries. Rely on many years good reputation and good service, there are many customers at home and abroad have established long-term and steady business relationship with us. Our Microsilica not only supply to China Domestic. and exported to Many countries like: United States, Germany, Australia, Asia Gulf States etc, and the scale is still expanding. Our company is willing to take a sincere attitude and cooperation with you. 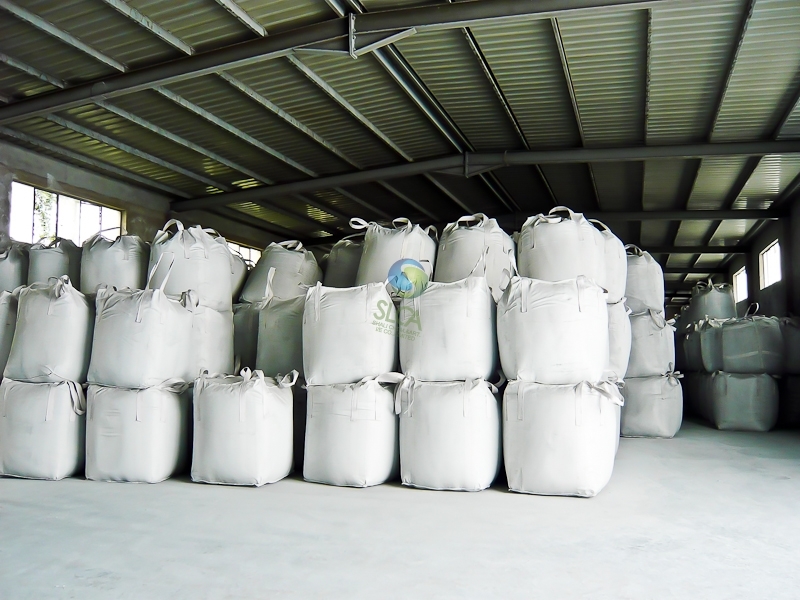 Production Capacity: Total 3600mts/month for all types of microsilica. 1500mts/month for type 940D and 940U for fibrecement industry use. According to the Sio2 content, the silica fume covers 85% to 97%, and according to the bulk density, it can be divided into densified and undensified silica fume. • Undensified - 85 U, with a typical bulk density of 200 -350kg/m 3. • Densified - 85 D, with a typical bulk density of 600 –750 kg/m 3. • Undensified - 88 U, with a typical bulk density of 200 -350 kg/m3. • Densified - 88 D, with a typical bulk density of 600 –750 kg/m3. Packing: in25kgs plastic bag with or without pallets; 400kg or 900kg big bag on pallets.